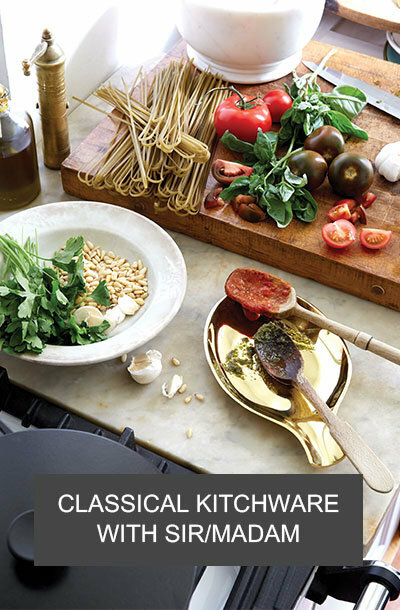 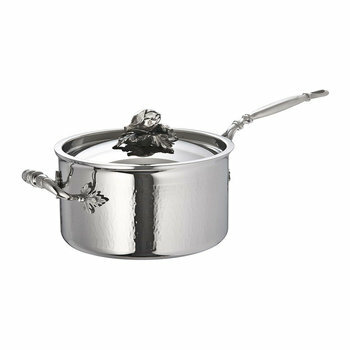 Bring your culinary creations to life with this Opus Prima Braiser from Ruffoni. 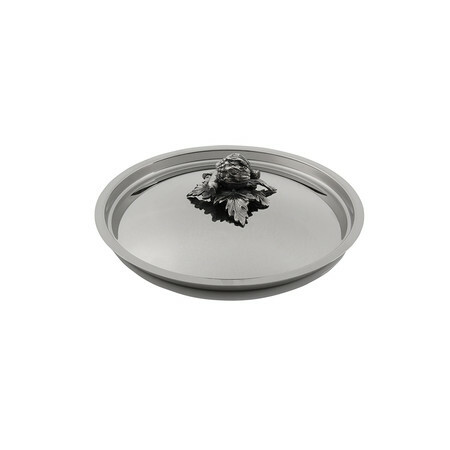 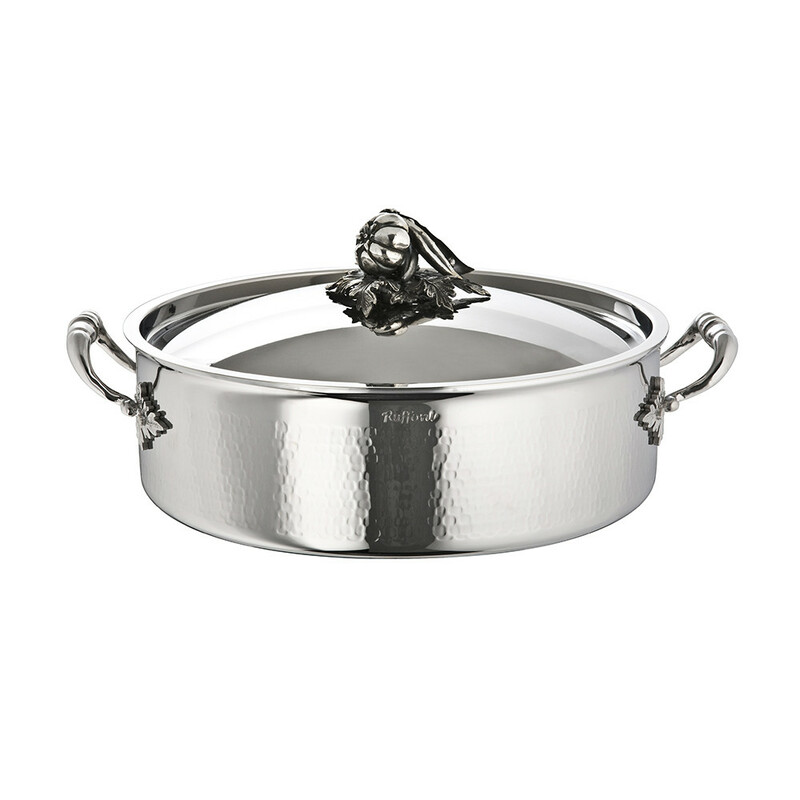 Featuring two helper handles to transform this braising pot into a dining table serving piece during meal times, its elegant hammered styling has been expertly hand finished for a sophisticated styling. 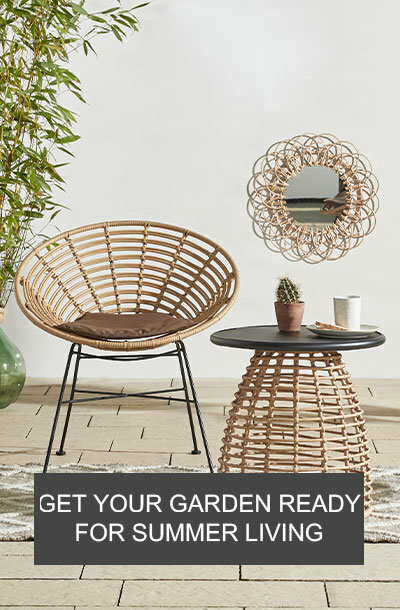 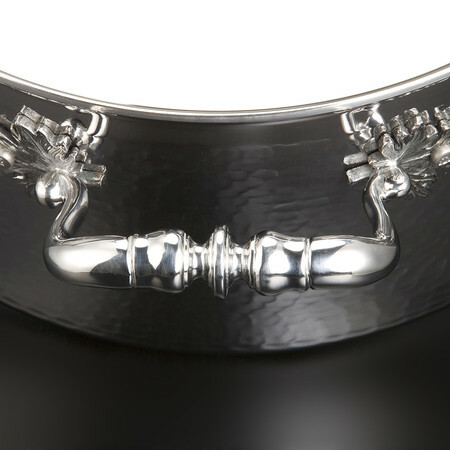 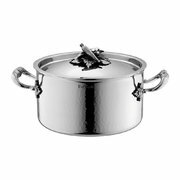 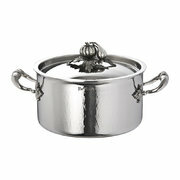 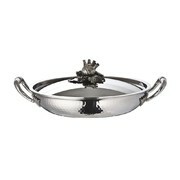 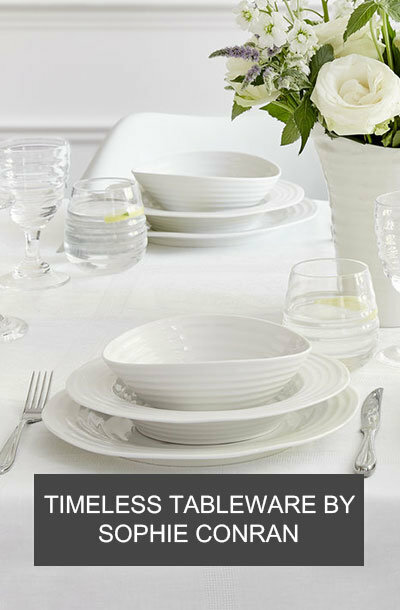 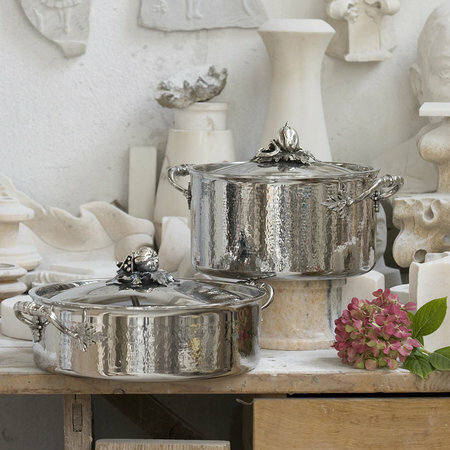 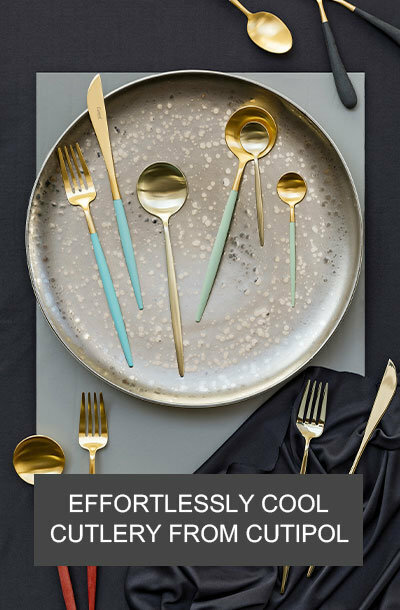 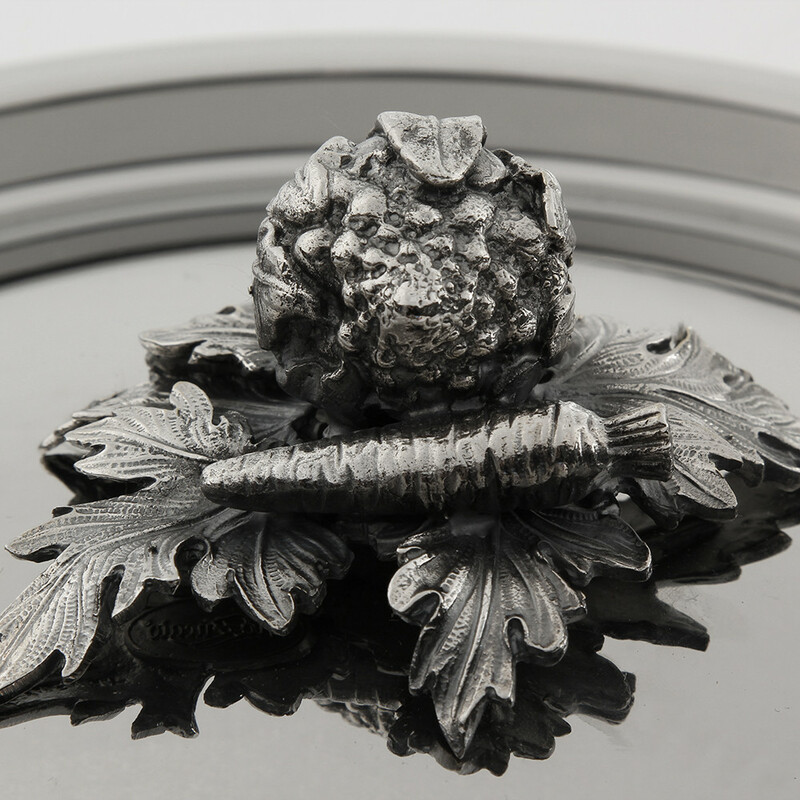 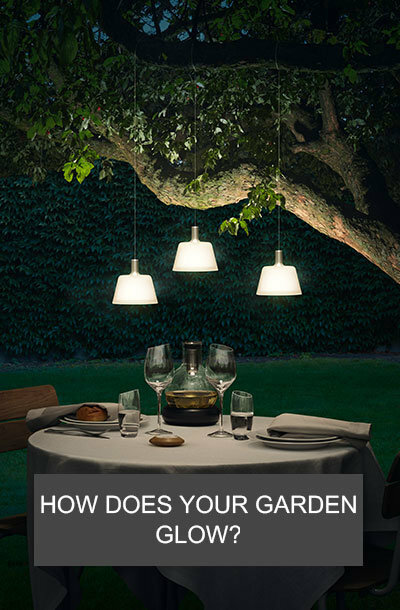 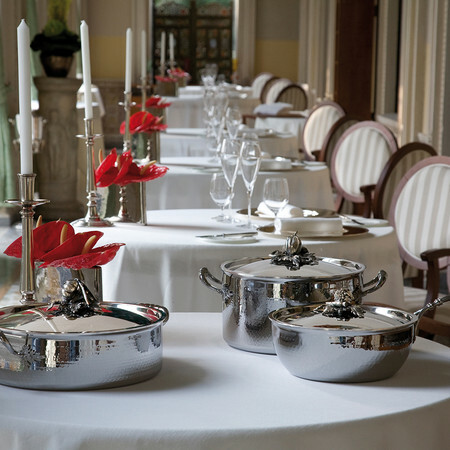 Its lid has been adorned with a silver plated, sculptured handle in the shape of vegetables that is sure to be loved by dinner guests. 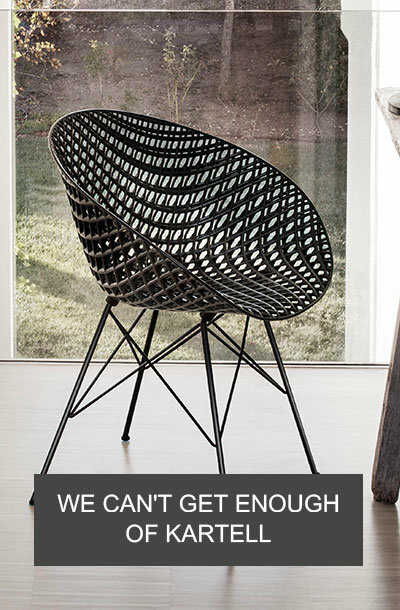 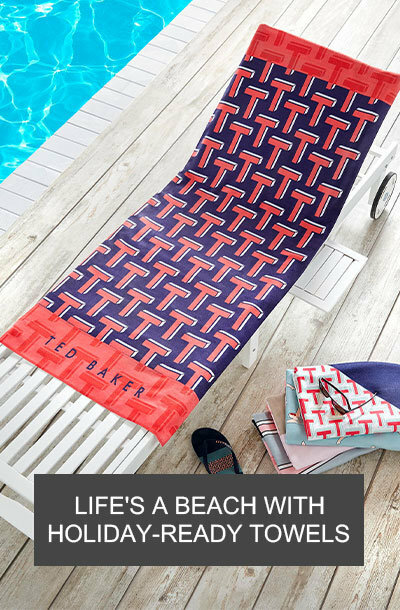 A thick aluminium core has been rolled between layers of stainless steel to create a uniform heat conduction across the whole of the pan, allowing cooking temperature to be precisely controlled. 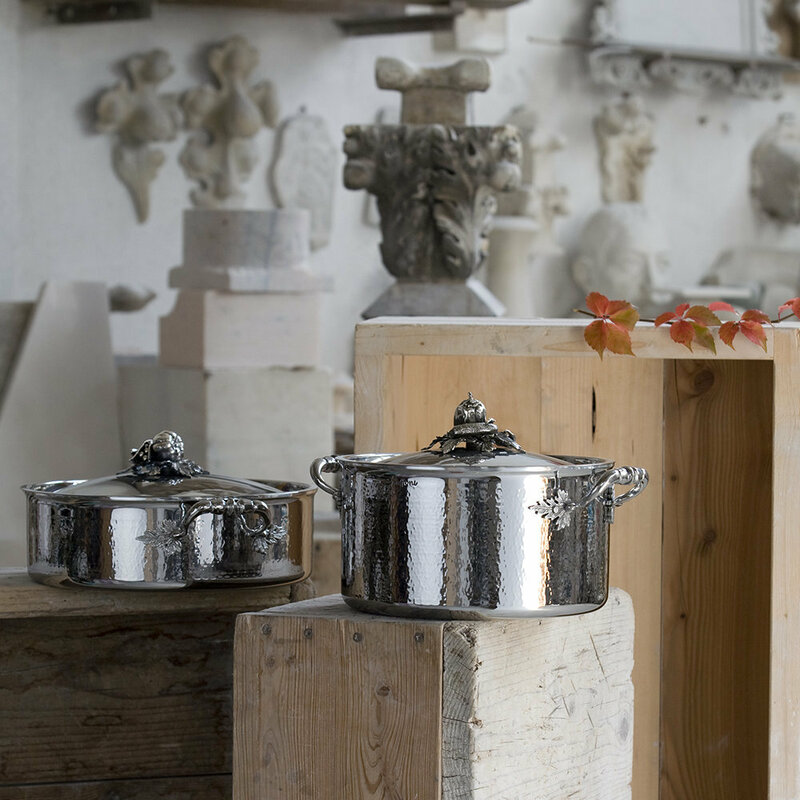 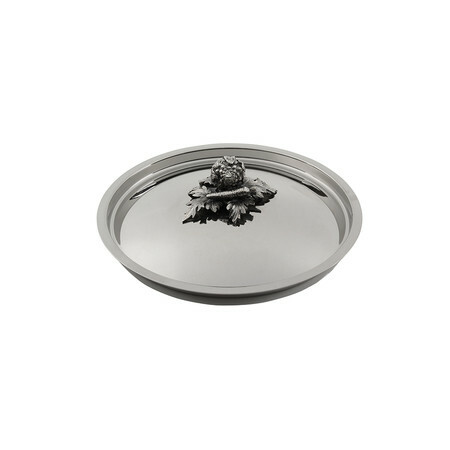 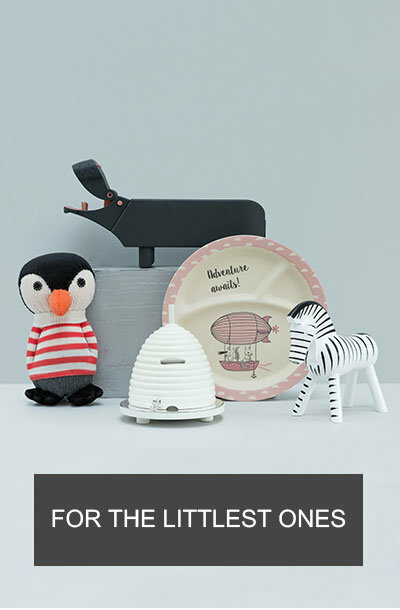 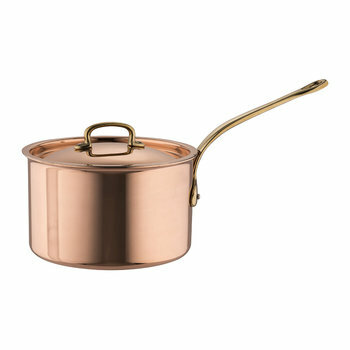 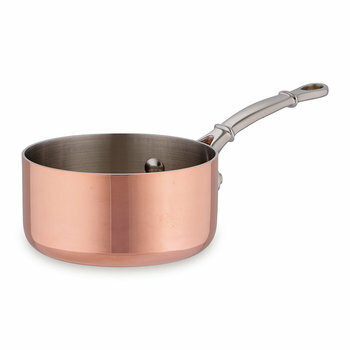 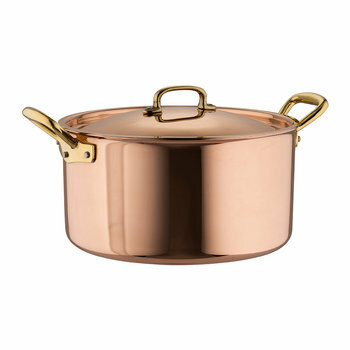 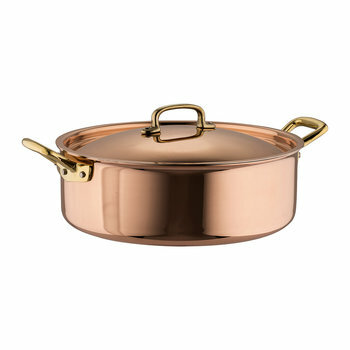 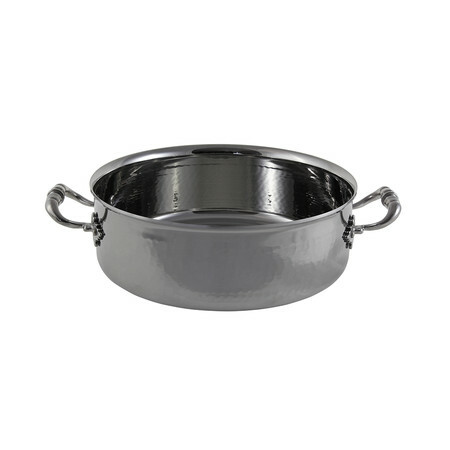 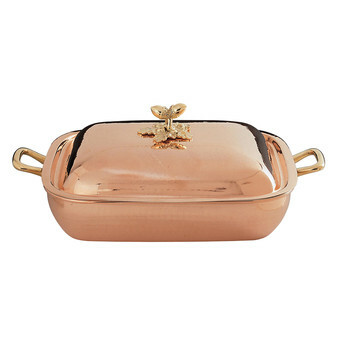 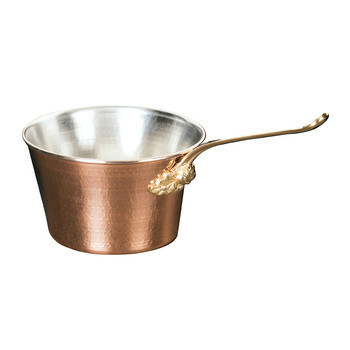 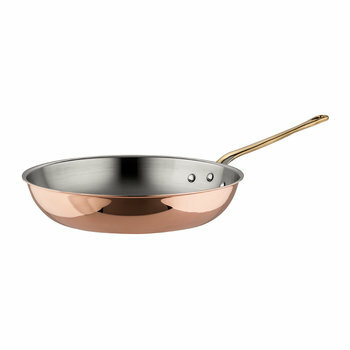 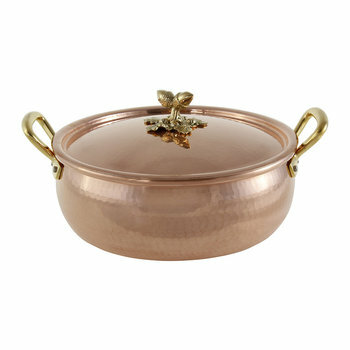 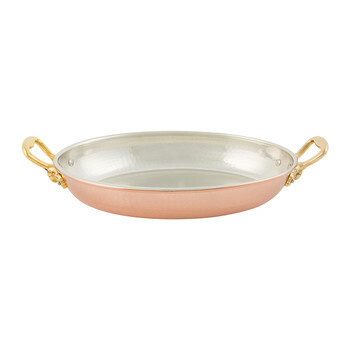 Available in two sizes this braising pan makes a gorgeous addition to any kitchen interior.